As much as I love writing about movies I have already seen, I am excited to look ahead to 2017. There are some great movies coming out that are sure to please fantasy-lovers everywhere. 3. 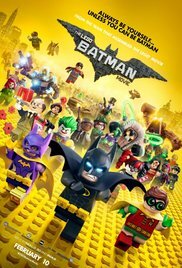 The Lego Batman Movie: I have to confess, I loved The Lego Movie, and what could be better than Lego Batman? "I only work in black. . . and very, very dark shades of gray." In theaters in February, this will be a welcome foil to the ubiquitous Valentine's romance movies typically released. Find out more and watch the trailer here. 2. 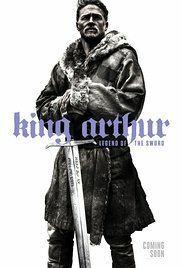 King Arthur: Legend of the Sword: Although this movie isn't rated yet, I am hoping it will be PG-13 (or lower), so we can see it. King Arthur is one of my favorite legends (as you can tell from my bookshelves), so I am looking forward to this May release. Check it out here. 1. 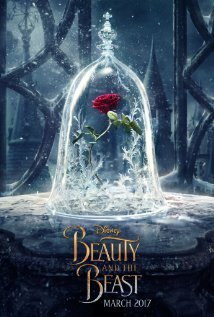 Beauty and the Beast: Scheduled for release in March, and starring Emma Watson (Hermione Granger in the Harry Potter films) and Ewan McGregor, the movie is sure to be gorgeous. Also, Belle is a favorite of many of us here at Lands Uncharted! You can find the trailer and more information at IMDb's site, here. Which of these movies would you like to see? Are there any other movies you are looking forward to? I am so looking forward to Beauty and the Beast! I didn't know Ewan McGregor was in it. I also didn't know about King Arthur. I will have to check that one out, too!